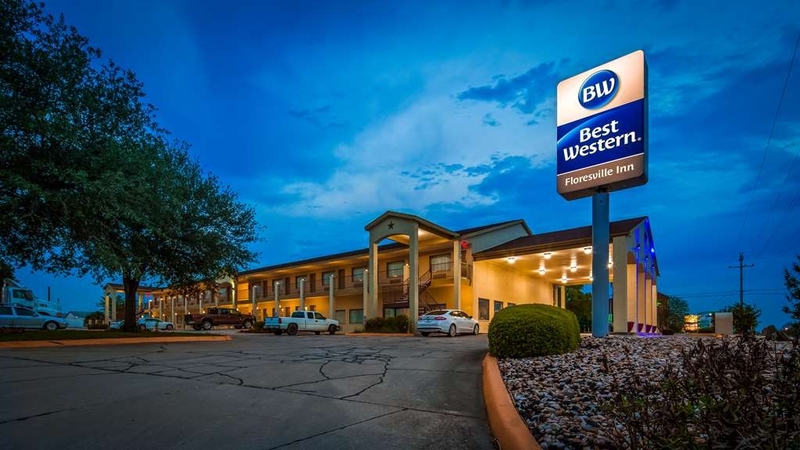 Das Best Western Floresville Inn ist ideal in Floresville Stadtzentrum zu finden. Erleben Sie ein schöner Aufenthalt in der Nähe von alle Sehenswurdigkeiten. Bestpreisgarantie und exklusive Angebote. 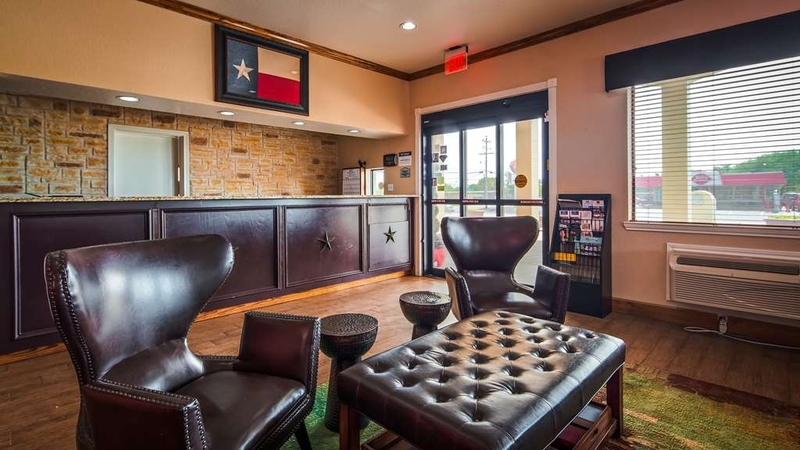 Willkommen im Best Western Floresville Inn!Genießen Sie kurze Wege zur Eagle Ford Shale® und zu anderen wichtigen Reisezielen bei einem Aufenthalt in unserem Hotel in Floresville. Unser Hotel liegt in der Nähe der Motocross-Rennstrecke Cycle Ranch, die viele Besucher in die Region bringt. Das Floresville Event Center, ein beliebter Festsaal für Hochzeiten, Wiedersehensfeiern und Geschäftstreffen, ist ebenfalls nicht weit entfernt. Ganz gleich, welcher Anlass Sie in die Stadt bringt, unsere freundlichen Mitarbeiter möchten Ihnen die beste Gastlichkeit des Südens bieten. Das lokale Erdnussfest ist ein unterhaltsames Event, dem jedes Jahr alle entgegenfiebern. Besucher erreichen diese Veranstaltung schnell von unserem Hotel in Floresville. In der Nähe gibt es viel zu erleben, viele unserer Gäste ziehen es jedoch vor, sich in ihren kühlen, geräumigen Zimmern zu entspannen. Betten mit extragepolsterter Auflage, fünf HBO®-Sender und ein tägliches kostenloses Frühstück sorgen dafür, dass Sie sich wie zu Hause fühlen. Das Frühstücksbuffet bietet Waffeln und Obst, Gebäckstücke, Müsli und Cornflakes, verschiedene Joghurtsorten sowie 100 % Arabica-Kaffee oder Saft, soviel Sie wünschen. In unserem haustierfreundlichen Hotel ist die ganze Familie willkommen. Erleben Sie gemeinsam mit Ihrem vierbeinigen Freund das Stockdale Watermelon Jubilee und das LaVernia Blue Bonnet Fest. Die Wilson County Fair mit Traktorziehen und Grillmeisterschaft ist ein gigantisches Event mit dem Besten von Texas. Wenn Sie wegen einer Großveranstaltung in der Stadt sind, benötigen Sie ein Hotel in Floresville ganz nah dran am Geschehen. Genau das bieten wir!Geschäftsreisende bevorzugen ebenfalls unser geräumiges Hotel in Floresville. Dazu gehören auch Mitarbeiter von Marathon Oil Company®, Holland Energy, Cajun Well Services Inc. , Schoeffler Energy Group Inc. und Key Energy Services®. Von unserem Hotel aus erreichen Sie im Handumdrehen jede neue Arbeitsstelle, ganz wie Sie es benötigen. Sie werden sich bei uns wie zu Hause fühlen!Reservieren Sie noch heute zu einem günstigen Preis Ihren erholsamen Aufenthalt im Best Western Floresville Inn! I stayed at this hotel 8 times last year without an issue. This February, 2019 is different. The number one complaint was roaches in the room (pics attached). In addition, the bathtub drain would not close properly because of some compound added to it, so tub would not hold water for a bath. Finally, the place was packed with contract workers who took up all the parking spaces, including the handicap spaces (pic attached). Thanks for the review. Great to hear from you on your stay. Please be sure to book your next stay with us on your next travel to Floresville. Happy Travels. Good, clean hotel to stay at. Breakfast is good. Coffee and drinks good too. Bed very comfortable! Close to restaurants and Dairy Queen (my favorite ice cream place)! Not far from anything you would like, even walmart! Thank you for the review submitted. Great to hear that you had a pleasant stay. Hope to see you on your next travel stay in Floresville. This was a good hotel for an overnight stay in Floresville. Visited for a Native Prairie Association event at a local family farm doing prairie restoration, and needed a place for the night. I have noticed that Best Westerns offer a pretty good value these days, and was willing to take a chance on this one, ranked #3 on Trip Advisor in Floresville. Old style hotel with outside entrances to each room on the ground floor, which is a plus to get in and out quickly if you have lots of bird watching paraphernalia.Room was extremely clean, carpeting was clean, lighting average, but good lighting over sink, plenty of charging plugs. Once we got A/C figured out, it was quiet enough. Mattress ok. King size room had a sofa and coffee table which were useful. Friendly hotel staff person. Did not eat breakfast but breakfast area looked typical. Husband used the hotel internet and it worked fine. Only two small negatives- slightly musty odor in room, but it dissipated or I got used to it, and ice machine was out - neither was a deal breaker. A plus was the room refrigerator had a freezer compartment that allowed me to refreeze some water bottles and ice cubes I had.I would stay there again. Thanks for your review. Hope to see you on your next travels. Ice machine has been repaired. "Clean and comfortable with no surprises"
First time at this hotel in Floresville. I usually stay at the La Quinta next door, but my last stay there was unsatisfactory because they tried to up the price when I checked in. Not so with Best Western as the rooms were clean, comfortable and quiet. No surprises and met or exceeded expectations. I will stay there again. Thank you for completing the survey regarding your recent stay at our property. Your business is very important to us and we value your feedback. By telling us what you liked about your stay and how we can improve, you are helping us deliver a superior experience for you and other guests in the future. We hope you will come back and see us again soon. If I can be of assistance in the future, please don't hesitate to contact me at 830 393 0443. Thank you again for taking the time to complete the survey. We appreciate your loyalty to our brand. 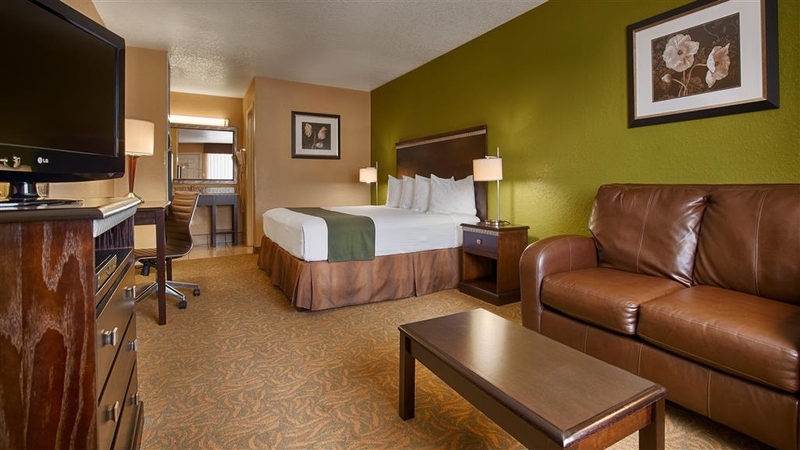 "Stayed here for our visit to San Antonio. Great value!" Travelers can get soaked staying at hotels in San Antonio these days. Even if you pay under $100, the city levies about $15-20 in taxes to pay for the AT&T Center arena. 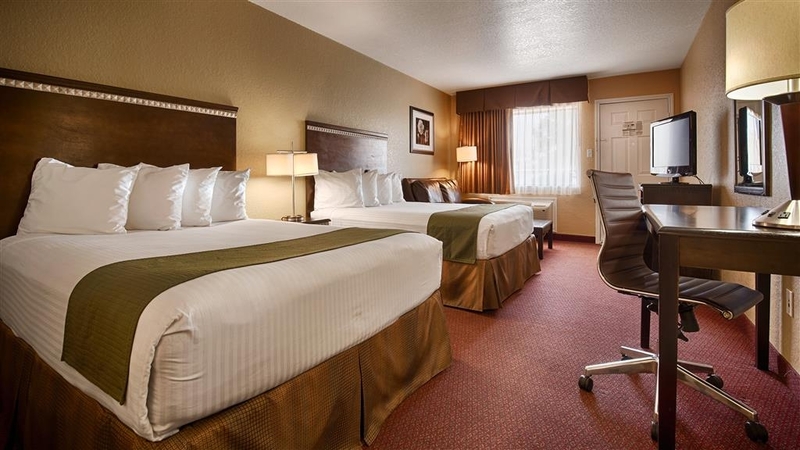 For about $58.00 plus only $7.75 in tax, my family can stay in Floresville, at this very comfortable hotel. The best thing for the kids: A nice, relaxing and spacious outdoor swimming pool. It's clean, and you don't feel cramped in, like so many swimming pools. They have pool towels at the front desk, and while my kids swam, I got to talk with the hotel's maintenance man, a very nice gentleman, who's a Vietnam veteran. The cleaning staff and the reception people are also very nice and helpful. They accommodated me on a late checkout, and when my watch broke, and - simultaneously - the phone lines were temporarily down in Stewartville, they let me check out of my room a couple hours later than I should have, because of the misunderstanding. The front desk clerk was very understanding and helpful, and didn't act at all upset. The breakfast is well stocked, and my kids and I ate plenty. For lunch, there is a great Bill Miller's not far to drive. 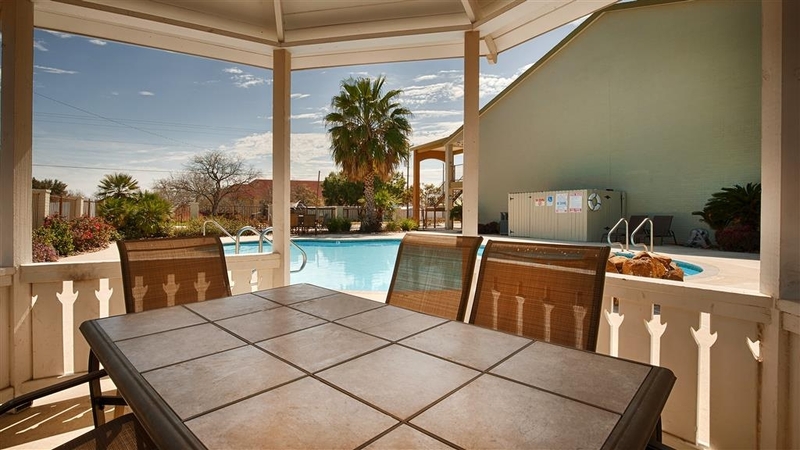 This property is staffed by polite, helpful, and friendly South Texas people like I knew when I lived in San Antonio. The property is clean and nicely refurbished. The next time we visit San Antonio, we're staying here again! 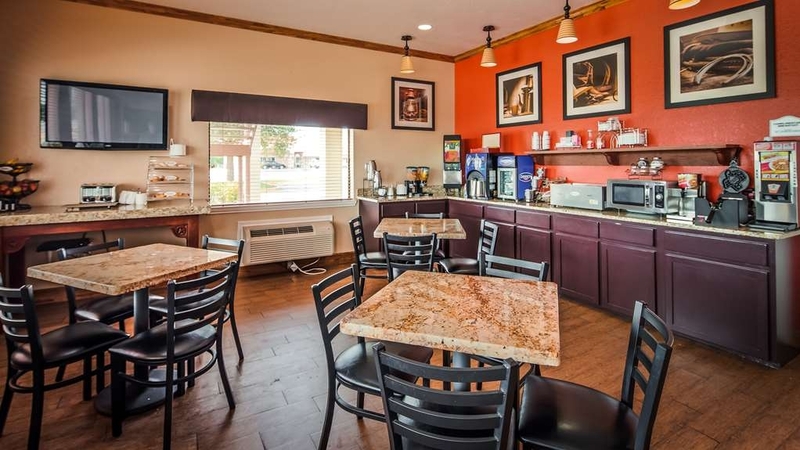 I work for another Bestwestern hotel, and I always try to give good reviews. However, we had a horrible stay. First, the breakfast kept running out. When I would mention that they're totally out of eggs or sausage, they would just look at me and say they can't put much out there. There was hardly any food out there. They seem to be really cheap with the breakfast. Also, we found cockroaches in the room, which is a pretty big deal in hotels. The front desk lady just looked at me when I told here about it. The customer service here is really awful. We will never stay at this place again. Thank you for sharing your feedback with us, your business means a lot to us. We pride ourselves on having great customer service at our hotel. On behalf of our entire team, I would like to apologize for not exceeding your expectations, I know how upsetting it can be. Your satisfaction is important to us and will be using the feedback you gave us to implement improvements to ensure we offer a better experience for guests in the future. I hope that you will consider staying with us again so that we can have another chance to provide you with a superior experience. If I can provide you any assistance, please don't hesitate to contact me directly. 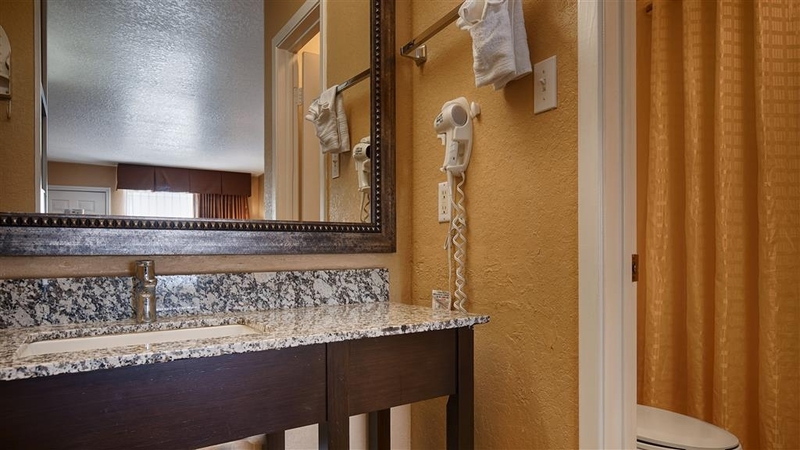 Reservations were not there upon checkin towels were dirty tub needed replacement and staff were discourteous. Major malfunction with key cards and was left outside the door for approximately 30 minutes. 2 day stay, staff was very helpful, wi-fi very good, breakfast was typical. Coffee creamer selection was minimal and basic. Very nice rooms spacious and comfortable. Hotel security was in place and working. Thank you for taking the time to leave us a review. Glad to hear your stay was enjoyable. Hope to see you again soon at Floresville Inn Best Western® Hotels & Resorts. We appreciate your review of our property and hope to see you again soon at Floresville Inn Best Western® Hotels & Resorts. Everything was excellent. Everything was clean. Bed was comfortable. Love the swimming pool, and breakfast. Like the fact everything is near by, love Floresville. Staff is very friendly, easy to talk too. Thank you for taking the time to leave us a review. Happy to hear our front desk staff helped to make your stay even better! We appreciate your review of our property and hope to see you again soon at Floresville Inn Best Western® Hotels & Resorts. First room I was given the carpet was soaking wet. Second room had musty smell. 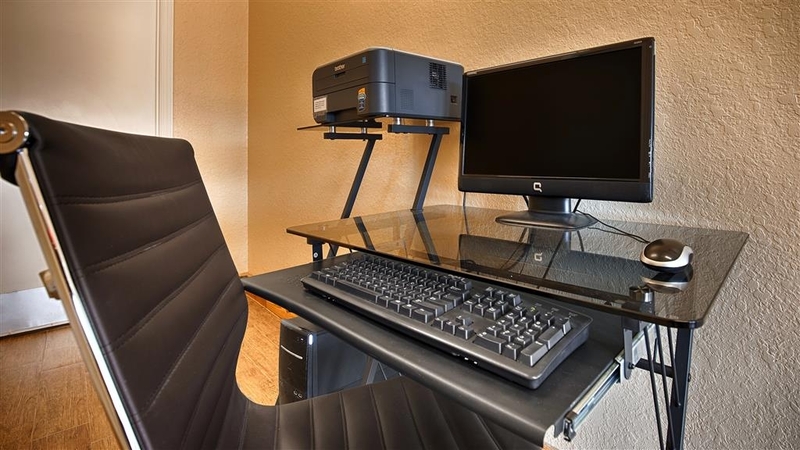 (first room had strong musty odor as well) Staff is good but property needs makeover/remodel. Some breakfast items could be fresher. Thank you for sharing your comments with us. I do sincerely apologize about your stay at Floresville Inn Best Western® Hotels & Resorts. We will take care of the problems that you had mentioned. "Old hotel remodeled to look brand new"
This is a really decent Best Western. It's old, but looks to be completely remodeled recently. Beds were new and super comfy. Outside and inside was very clean. It looks to be run by a family not a corporate location because the same lady who checked me in at 10pm was there at the front desk the next morning. She was also the breakfast attendant. Because of her multitasking we had to ask for a few breakfast items that they'd run out of. But she was nice and promptly got the items they had run out if. Breakfast had eggs, sausage links, sausage gravy and biscuits. Lots of other things on the breakfast bar. I would happily stay here again. Thank you for your TripAdvisor review. It sounds like you had a great time during your recent stay with us and we appreciate you taking a moment to share your feedback with us. I hope to have the pleasure of welcoming you to visit us at Floresville Inn Best Western® Hotels & Resorts again soon! Very nice rooms, well furnished, room was large and very clean. Nothing really great, but also nothing bad or negative. 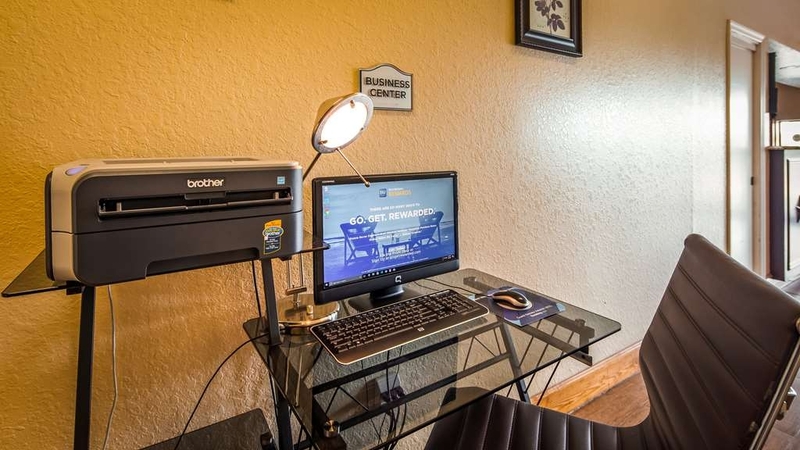 Clean room for a reasonable price, with a good location on the highway near midtown Floresville. Thank you so much for sharing this wonderful feedback regarding your recent stay! I am thrilled to note that you enjoyed your visit. We look forward to welcoming you back again, hopefully very soon. we really enjoyed our stay at the Best Western in Floresville, Texas. We have stayed in a couple of hotels in this town but this one is the best yet. 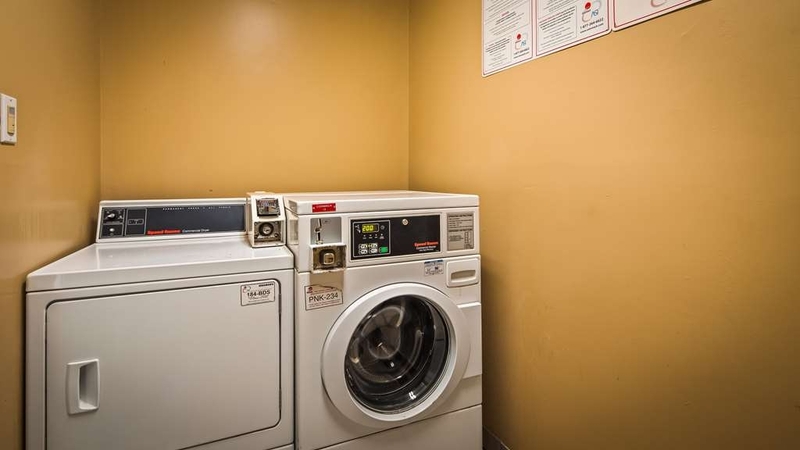 It was a great value and the room was clean, parking was easy. The bed was one of the most comfortable I have ever slept on. We had a great time, the pool was beautiful! I am so glad to hear that your stay at The Floresville Inn was a pleasant one. We certainly look forward to seeing you again, thank you so much for taking the time to share your experience. Safe Travels. "great valuie for your dollar"
I travel a lot. Since the oil boom has slowed this motel has become a great value for the dollar. Is also cleaner now. No places to eat within walking distance except dairy queen. Internet was excellent. Overall a good experience. I will stay here again when I am in this area. Larry: Thanks very much for being our guest and for your review of your recent stay with us. My staff and I are very pleased that you enjoyed your stay with us. We appreciate you as our guest and truly do look forward to having you join us again soon. "Clean Room and Great Breakfast"
We really enjoyed staying at this BW the room was large and clean. The bed was comfortable and made sleeping easy.It was interesting how they had the mini fridge and microwave in a raised cabinet so that the appliances were more at eye level so you didn't have to bend over as much. The breakfast was really good. They had eggs, two kinds of sausage, biscuits with sausage gravy as well as the normal continental breakfast items. What was great about the eggs was they were not powdered as used in most places. They were scrambled and tasted great. The eggs alone were worth going to breakfast. This is a great place to stay. First of all, I would like to thank you very much for having chosen to stay at Floresville Inn! Thank you very much for taking time to write your experience at Floresville Inn and for sharing your warm comments. Feedback from our guests is so very important so I appreciate you taking time to let us know about your stay at our hotel. Safe travels and I hope we see you in Floresville Inn again soon. Looking forward to the pleasure of welcoming you back to Floresville Inn. "sheets did not looked like they were washed"
"Great Price on a Great Room"
Thank you so much for your kind words. Our staff takes great pride in making our guests feel welcome, and are always thrilled to get positive feedback! We look forward to welcoming you back to The Floresville Inn. "Thank you Best Western "
Thank you Bertha for your hospitality and your staff member Doris was very cordial. In Floresville for the holidays , breakfast was delicious and always ready like the higher end Plus ones but better. Your staff maintenance man Juan was so nice and gracious. Will be back in March for a week getaway. We would like to thank you for taking the time and submitting a review concerning your visit to the Floresville Inn. I will share your comments with the staff. Juan is a long term employee at the Floresville Inn who takes pride with his duties and delivers great service. We look forward to your next visit to the Floresville Inn so we may continue our business relationship with your lodging requirements. 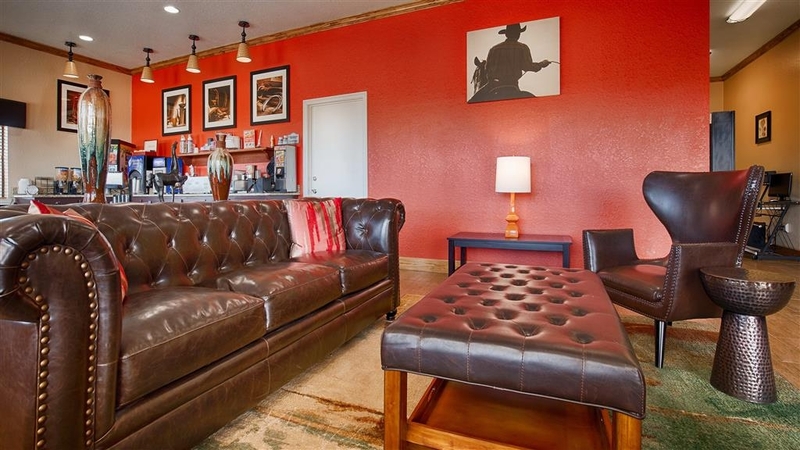 From first appearance through check-out, the Best Western Floresville Inn did not disappoint. The exterior is well-maintained, the lobby was inviting and comfortable; the front desk staff was knowledgeable, professional and friendly. Loved the room with its selection of pillows, clean and comfy bedding, and quiet. The breakfast area was immaculate with fresh fruit and baked goods - and eggs that were freshly made - not packaged and reheated. 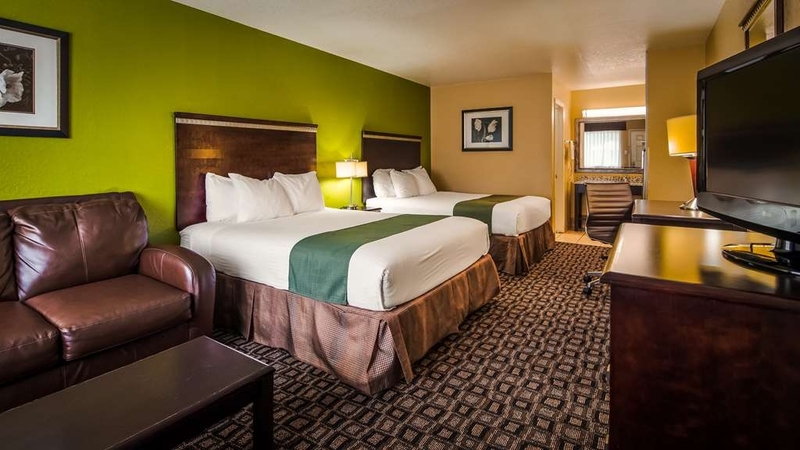 Best Western Floresville Inn is our place to stay when we visit family. Thank you so much for your review of your recent stay at the Best Western –Floresville Inn. 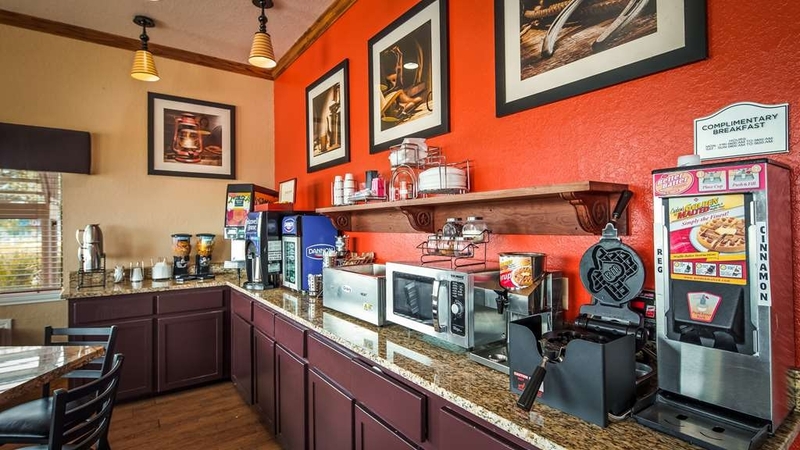 At Best Western –Floresville Inn we value our guest's feedback. Positive reviews such as yours are a great incentive for our team as they work towards guest satisfaction. I have shared the review with them. We look forward to seeing you again in the near future. 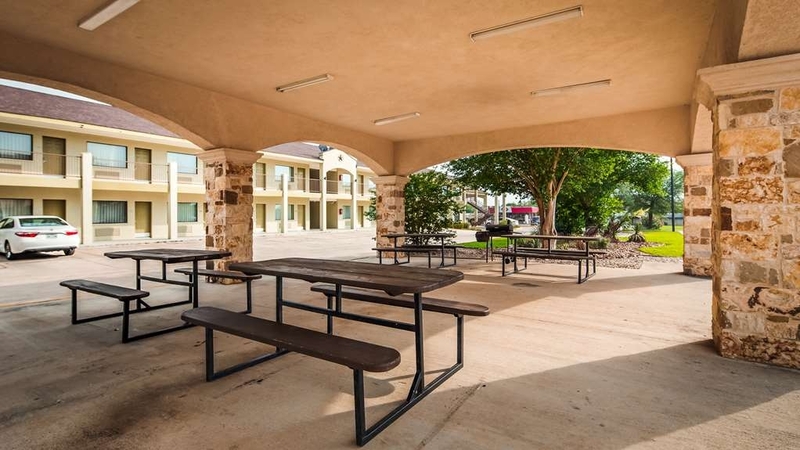 Thank you for choosing to stay with Best Western –Floresville Inn. The stay was enjoyable and the the front desk was very friendly. The room was Clean and very comfortable. We usually stay in Corpus Christi at the best western marina for vacation and will continue to stay for years to come. It's our favorite hotel near the beach and marina. Well-maintained but designed like an older motel. Sink outside bathroom, no closet or armoire (just a clothes rod), outdoor corridors. Breakfast okay. Small sofa and coffee table in two-queen room was a nice touch. Hotel was priced appropriately at less than newer competitors. I'd stay there again. Thank you for your review. We are sorry to hear that our hotel did not surpass your expectations. We hope that you will give us another opportunity to impress you, when you return to the area. Wonderful hotel outside San Antonio, TX. Great staff with a wondeful pool. The rooms exceeded our expectations and we would absolutly return to this hotel if we ever need a place near San Antonio again. Thank you so much for taking the time to write a review. We are glad to hear that you have enjoyed your stay with us. It is our pleasure to provide great customer service which our guests deserves, and we take great pride on doing so. Once again thank you and we hope to see you on your next trip to Floresville, Tx. "Should not be a Best Wetern anymore." This hotel is very old and there were several different kinds of bugs in the bathroom when we went in the morning. Very small and basic rooms, like a Motel 6. Not a hotel I would stay in alone, I was very glad my Husband was with me on this trip. 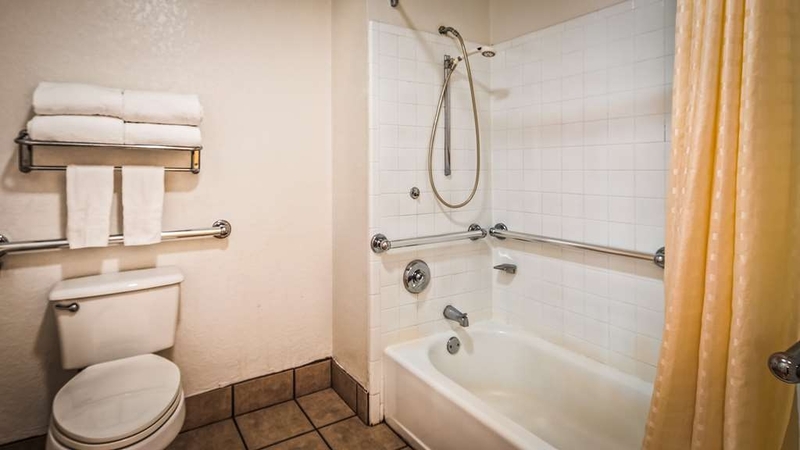 Best Western has some nice properties, and this is NOT one of them. "Nice clean rooms, friendly staff"
Rooms are nice, clean and up to date. Internet is average speed and the pool is nice although it needs to be cleaned a little more often of leaves and debris. Parking lot is a little full at night but usually are able to park beside your room door. Washer and dryer is a bit older but functional. Overall the price is good for the room. Exceeded expections. Visiting family needed to.check in early. Michael the over nite desk manager made it happen. The day staff jessica was equally friendly. The room was very nice with exactly what we needed. A very nice place to stay. Clean friendly and afforadable. Will stay ahain. This was a nice place for an overnight stay. Room was clean, had comfortable bed, and very friendly staff. Hot breakfast very good with lots of choices and clean eating area. We would stay here again but would ask for 2nd floor room. Awakened in middle of night by very noisy upstairs people. I booked 3 rooms at this hotel for a group of 10 people. The front desk was helpful in suggesting restaurants in their small downtown area. The rooms were clean and beds were so comfortable. The breakfast area was very small with only 3 tables and so our group took two, but we had a great overall experience! Overall very good customer service from front desk to maintenance. A good location for what I was in town for, a lot of restaurants to choose from. An older type of hotel but very well maintained. Parking lot is available to park and then walk into your room. Good Afternoon Luis: Thank you for choosing to stay with us. We deeply appreciate your preference and we are glad that your stay was a good one. We hope you visit us again. Thanks again and have a great day. The staff and myself thank you on a your honest feedback. "Fantastic Escape from the hustle and bustle of the city"
I really quite enjoyed this quiet inn very much so. It has all the required amenities such as new flatscreen tv's, wifi access, breakfast- which was a 3/5 very high score! Beautifully maintained Pool and property by Charlie or Charles, I think but he is a reason I decided to score this property so high, with such a very friendly staff. 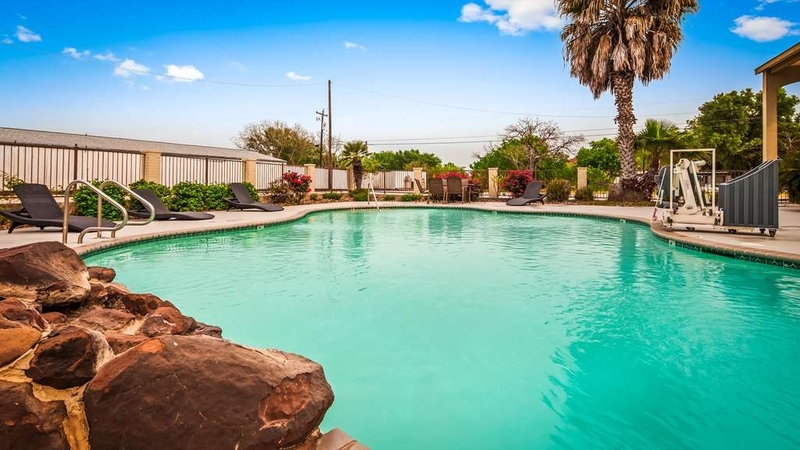 Being in a quieter south Texas town the rates were very reasonable and I plan to return to this property very soon because of the quality of the product I received, and most importantly the employees were extremely respectful to me the entire stay. Excellent Property highly recommended. Good Afternoon Peter M. I'd like to start by thanking you for staying with us. The staff and myself love to provide our customers with a great, memorable experiences. I'd like to invite you to stay with us again and offer you another great stay. If there is anything we can do for you. please let us know by calling at 830.393.0443, thank you and have a great day. Very well maintained motel and staff also very honest and kind, we forget our MacBook in the room and received a call immediately after we left otherwise we were going to travel for nine hours so hard to go back find. Excellent management....! 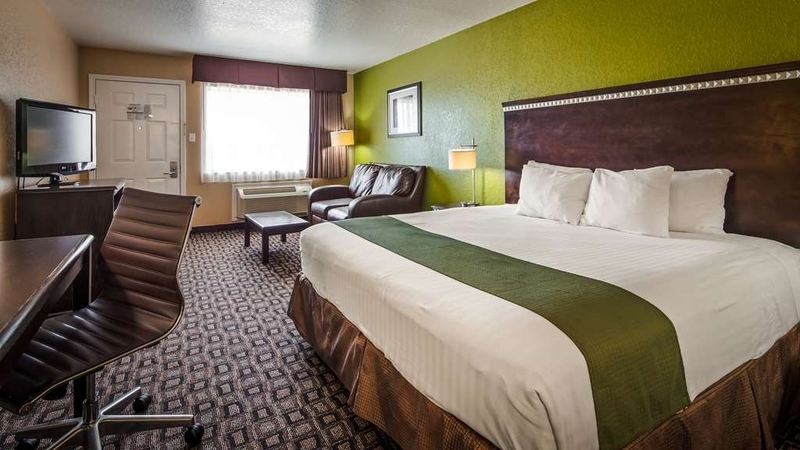 An exceptional hotel in the Best Western line. The beds were extremely comfortable. The couch was an great place to read. We have stayed in a lot of Best Westerns, but this one is now one of our favorites. Good afternoon Maureen C and thank you for choosing to stay with us. It is our priority to provide the best of service to our guest. We hope you visit us again. Thanks again and have a great day. "Quaint spot in Peanut Country"
BW Floresville is a nice upgraded property tastefully done with all the modern upgrades. Easily accessible form the main highway through town so it is easy to find. I like these older refreshed properties probably more than the shiny new ones, don't know why, just feel more "homey". 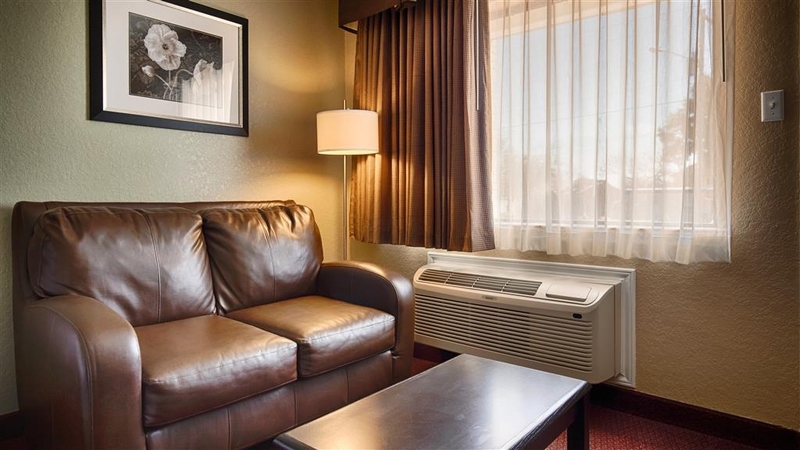 This location is no exception to the general rule of why I like to stay with BW, everything is nice, clean, good folks working there, and rooms are comfortably large. Had only a couple of insignificant problems; one, Towels in bath were long absorbent but not very wide (if you have seen any of my comments in past - you know I like nice bath linens), two, fruit available for breakfast was not too fresh, and the big one (which I forgot to report) was that the bath only had hot water. I do like to have some hot water but not ONLY hot water. It was Room 109. I guess once I did not get a fresh banana, I just forgot to mention it to the friendly gentleman at check out. Too busy talking about the Wurstfest coming up in New Braunfels starting Nov. 6Th. That conversation distracted me. Great place, really good rates. Don't be afraid to drive in and get a room! Thank you for your review of our hotel. Anytime we fall short of meeting guest expectations, we feel it is important to take appropriate action to remedy any concerns that may arise. I want you to know we have addressed these issues with our staff, as to avoid any issues in the future. Once again, thank you for your time and on behalf of myself and my staff, I sincerely hope that we will have another opportunity to serve you in the future. "Affordable stay near San Antonio"
Motel seemed to have been recently remodeled. Very nice at an affordable rate. Short drive to San Antonio. Front desk personnel were friendly and helpful. Close to downtown Floresville historic district. 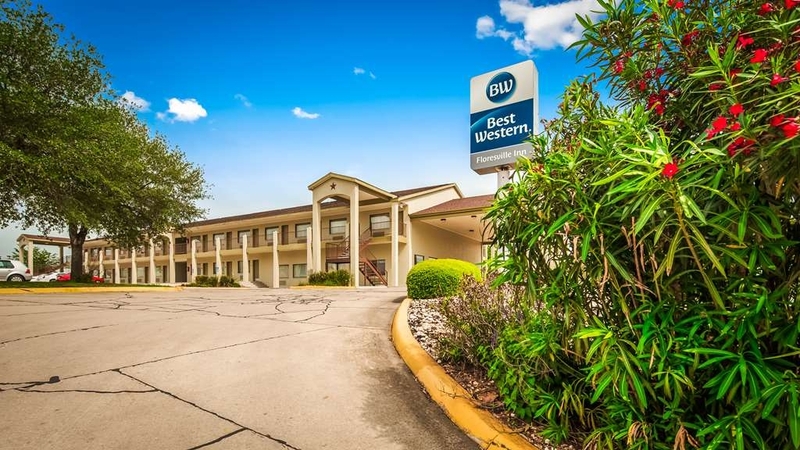 Thank you for taking the time to write a review on the Best Western Floresville Inn. It is our priority to provide the best of service to our guest. We hope you visit us again. Again, thank you and we look forward to your next visit to Floresville, Texas. What a respite from farm life!! The new beds and pillows are amazing, slept like a baby!! Rooms are beautiful! Pool area was lovely! Staff super friendly and helpful! We are booked again next week!! Yeah!!! Thank you!! A top notch hotel that I highly encourage you to stay it the next time you're in Floresville. The desk manager, Cody, took good care of us and went above and beyond. Thanks Cody. The king room we stayed in was clean and roomy. We will definitely stay here on our next trip to Floresville. Terrible hotel and service. Booked for family vacation, had to leave after killing a 3.5 inch roach in bathroom on our second morning. Breakfast consisted of dead crickets on the floor in the dining area, cold sausage, and runny eggs. Management didn't care and refused to refund our money for remaining 2 nights. Stay anywhere else.